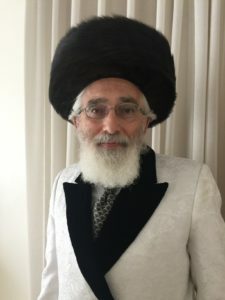 Grand Rabbi Korff is a direct descendant of the Baal Shem Tov, the 18th century founder of the Hasidic movement, through both the Baal Shem Tov’s son (‘ben achar ben’, son after son) and the Baal Shem Tov’s daughter through her son R’ Boruch of Medzhybizh, founder of the Mezhbizh Hasidic dynasty. Grand Rabbi Korff is also descended from the Maggid of Mezritch, the Baal HaTanya and numerous other Hasidic dynasties, including Zlotshev, Chernobyl, Apt, Yampol, Rizhin and Karlin, as well as Zvhil. The Rebbe received three ordinations (Smicha, D.D. ), educated at Yeshiva Rabbi Chaim Berlin, the Rabbinical Seminary of Israel, and Yeshivas Beis Mordechai (Zvhil) of Jerusalem, and was tutored privately by masters of Hasidism and Kabbalah. He is also a graduate of Columbia University, Harvard University, Hebrew College, Brooklyn Law School, and Boston University School of Law, and holds the BA., B.J.E., J.D., and LL.M. degrees. In conjunction with The Fletcher School of Law and Diplomacy and the Harvard Law School International Law Center he received an M.A. in international relations, an M.A.L.D. in international law and diplomacy, and a Ph.D. in international law. He was also a resident graduate at Harvard Divinity School. The Rebbe is the author of Meshivas Nefesh Yitzchok: Insights of a Contemporary Chassidic Master, in the original Hebrew/Yiddish/Aramaic and in English translation, on Kabbalah and Halakha, Jewish laws.